This restoration was dealt with last January already in the British Emergency > -263 Superior Criterion Ambulance (1962-68) topic. A little bit revised I thought it might be a nice new contribution to this Restorations, Conversions, Code 3 folder too. I was given quite a number of play-worn Dinky Toys by a former colleague of mine several years ago already, a pitiful Superior Criterion Ambulance included. Last year I had the idea of having it restored and giving it a grey finish, similar to the finish of the post-war examples of the 30f Ambulance, and as an experimental addition to the existing colour schemes of the ambulances of the 1940s-1960s. Not a very complicated conversion, but the result is surprising in my opinion. I thought the turquoise interior should be given the same red as the strips on the sides, in order not to look too pale and dull together with the all-grey body. Perhaps the red strip is not as straight as I would have meant it to be, but, nevertheless, the overall result is satisfactory in my opinion. A replica box makes the whole complete. Jan -- The Superior Criterion is one of my very favorite Dinky Toys. Some "action features," but not yet ruined by them, and in proper scale instead of the 1/42nd nonsense inherited from Spot-On. Jan, a very nice restoration to a grey Pontiac ambulance next to the grey 30f ambulance. Very nicely succeeded. 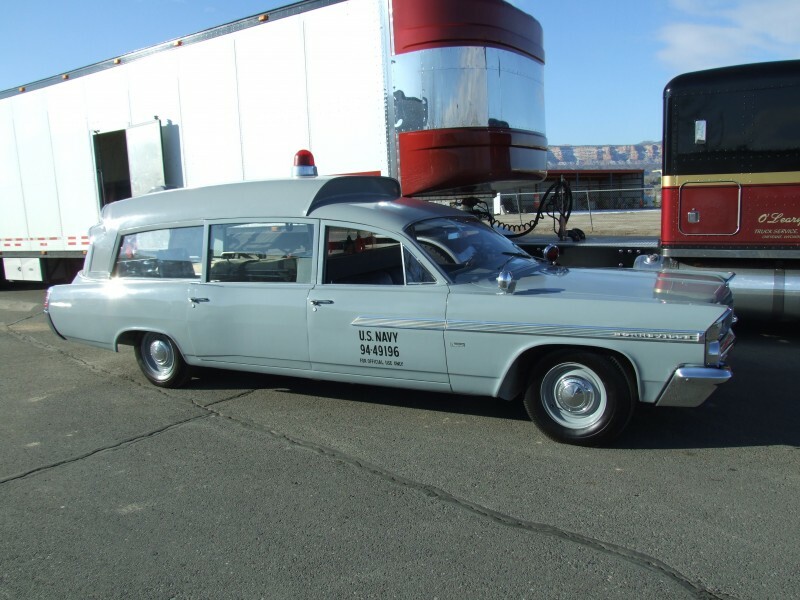 Your grey Pontiac ambulance reminds me of my police uniform duty in Rotterdam in the 60's. 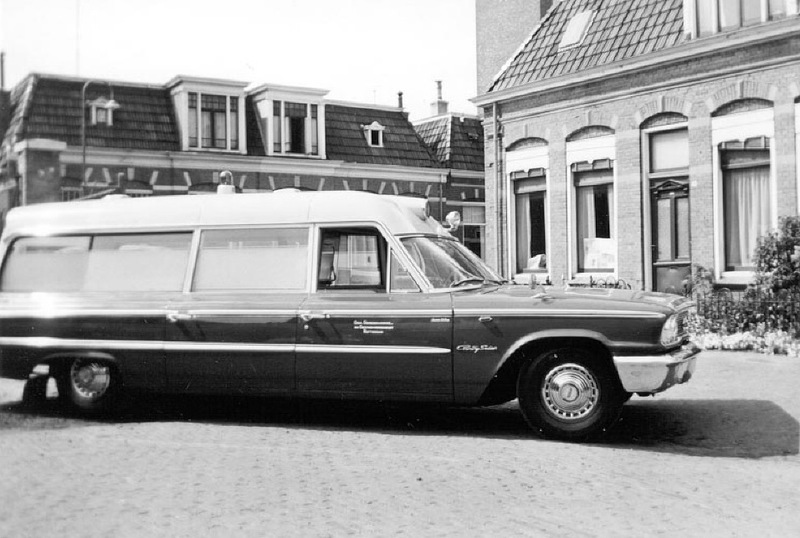 The ambulance service GG and GD Rotterdam used grey American ambulances in the 1960s. 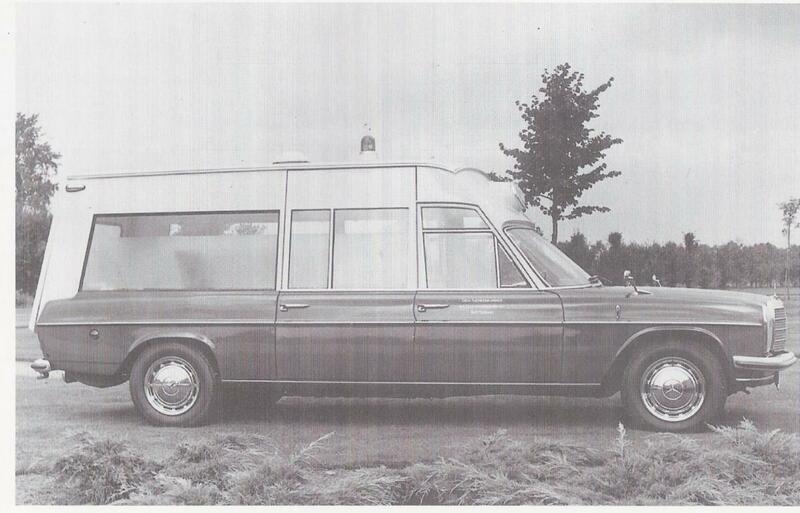 They were American Ford Country Sedans who were converted into ambulance in Leeuwarden by coachbuilder Visser. There was one problem: the roof was too low to place a patient in the ambulance for examination on a chair without knocking your head to the roof when boarding. 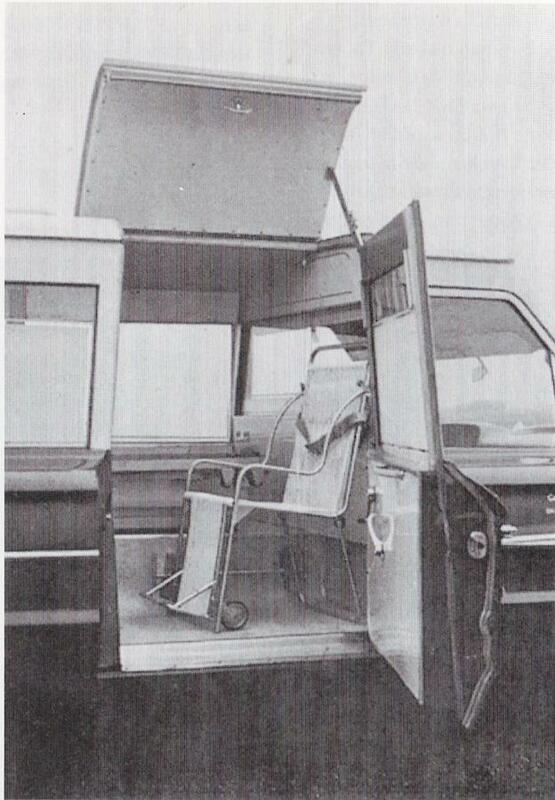 The coachbuilder made a door in the roof, which could be raised if a patient had to sit in the ambulance on the chair. There was even a step in the doorway that could be folded out. A very creative solution. After that the more general grey Mercedes Benz ambulance was used.